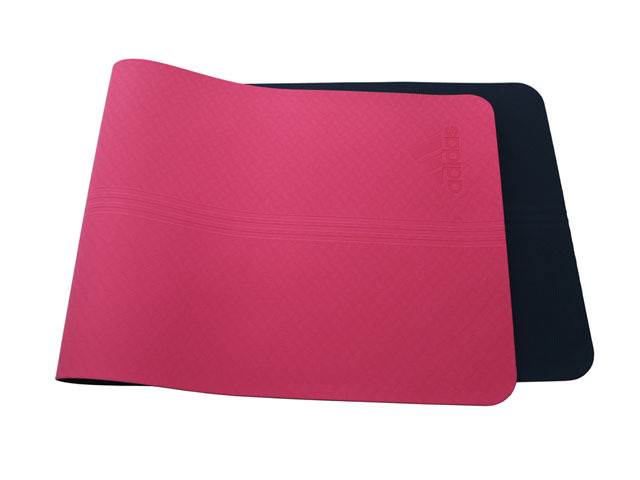 Best quality yoga mat by Adidas is now coming! 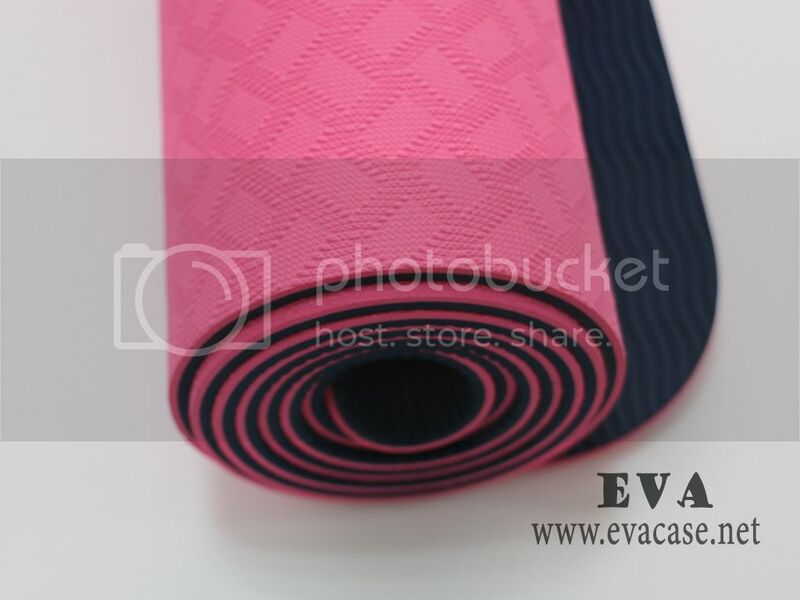 This best quality yoga mat is made from top quality TPE material, with embossed stripes both sides. 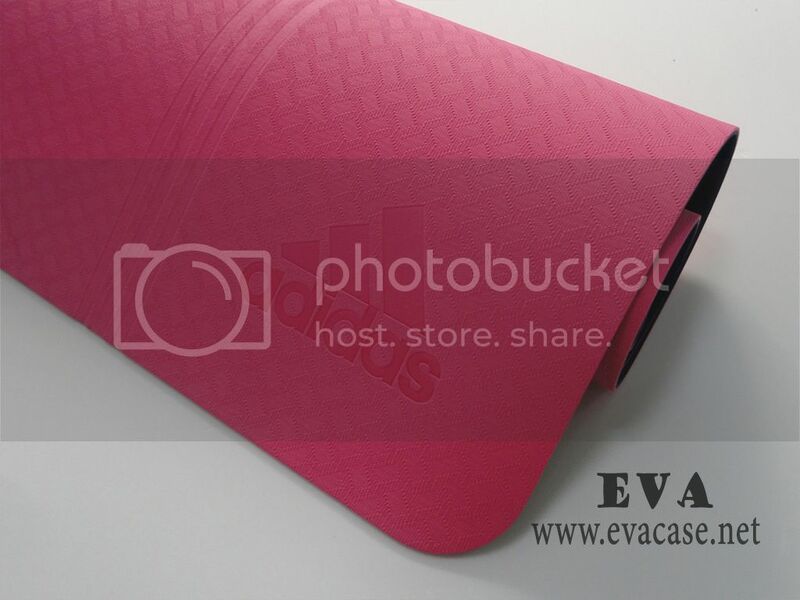 It is non-slip, 100% eco-friendly. 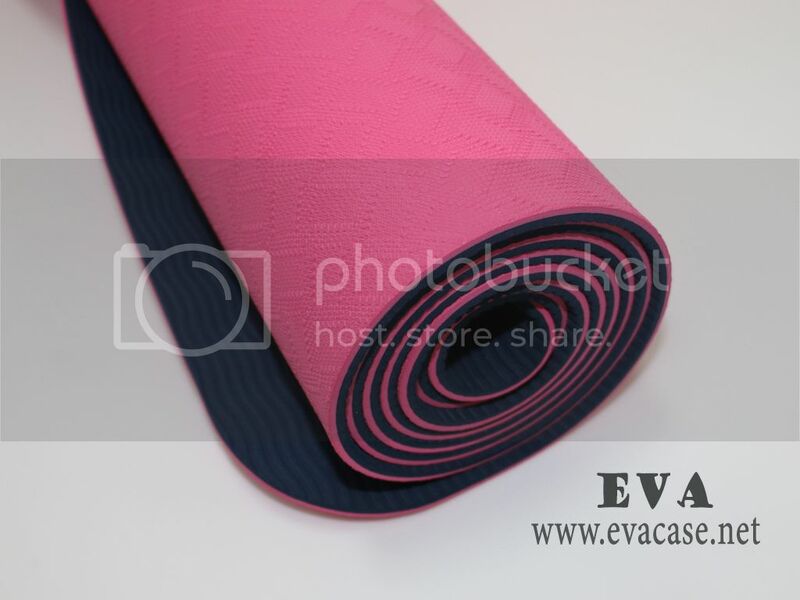 Dongguan EVA Case Manufacturer has plenty of best rated yoga mats, designed for many top brands, such as Adidas, Nike, Lotus, etc. 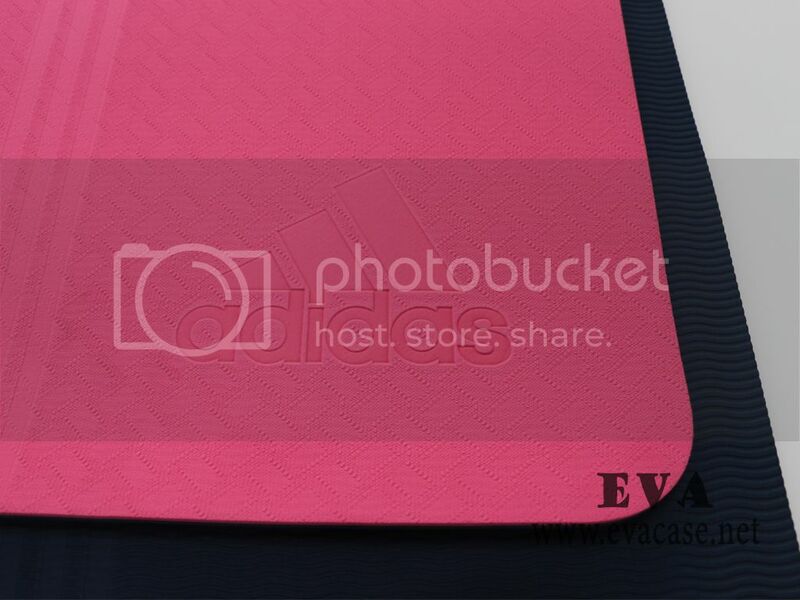 The yoga mat was heat compressed with 2 color TPE material, with no glues in it. Totally no smell and non-toxic at all. 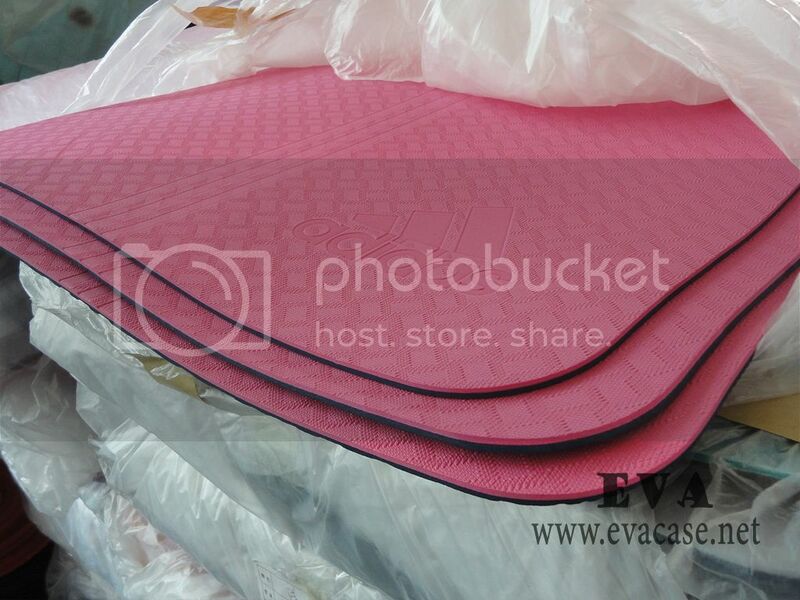 You could use it reversible if you like. Both sides are with stamped ADIDAS logo on. 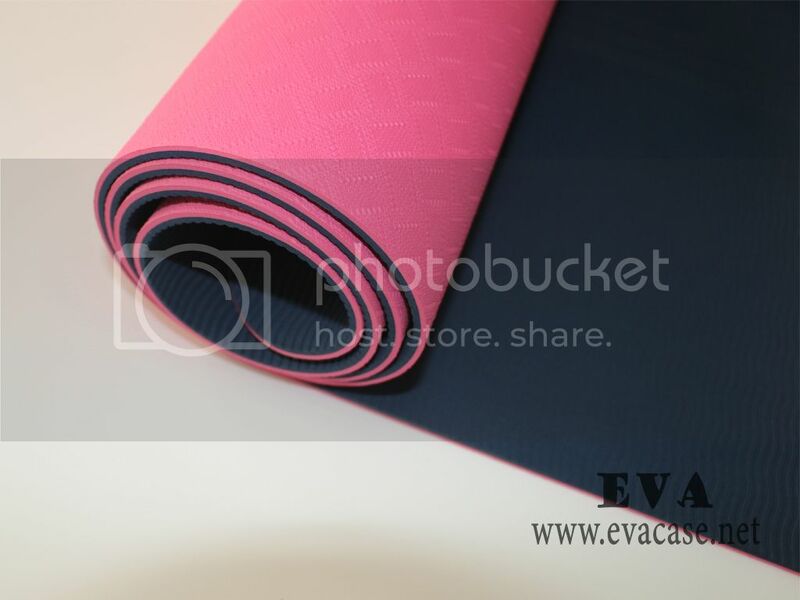 This TPE yoga mat is not similar with the rubber yoga mat, its light weighted and more soft and comfortable. It’s durable and could be used at least 30 years. 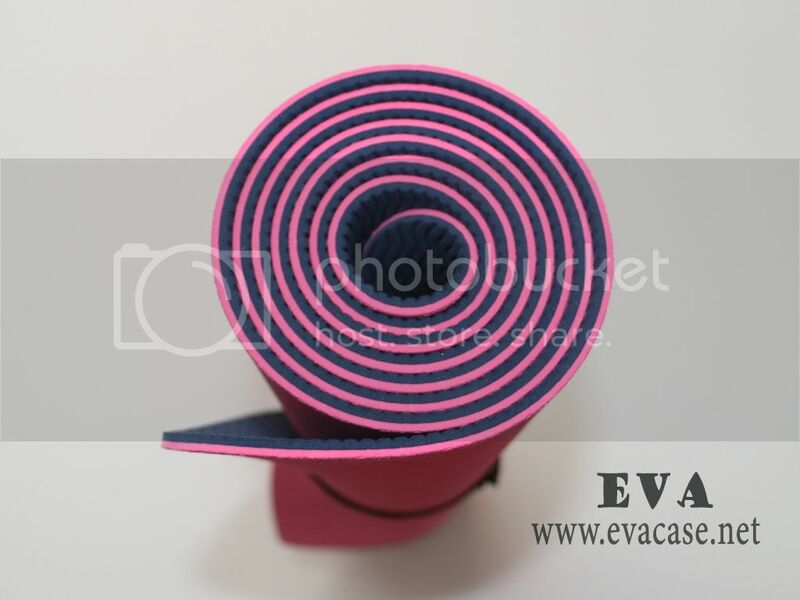 It won’t change its shape when you roll it up or put is on the floor. 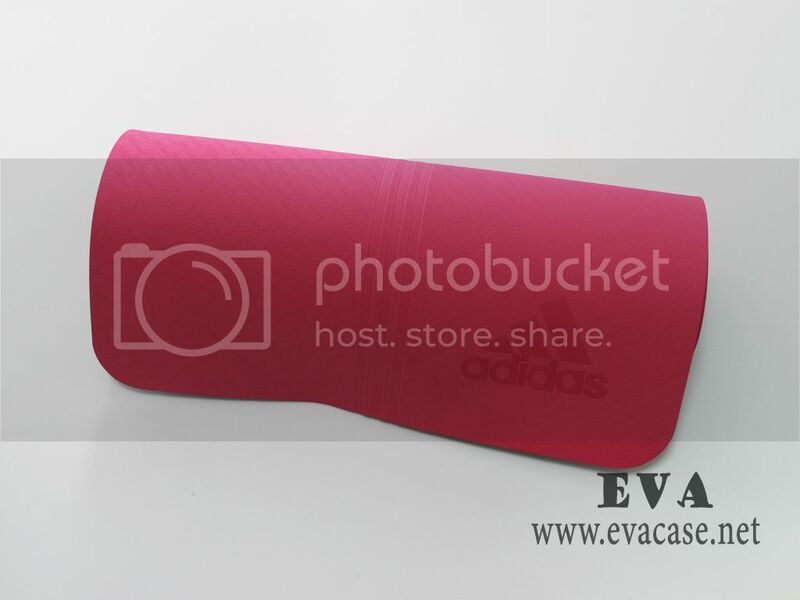 There’s an elastic band on it so you could carry it easily when to go to the gym or outside. 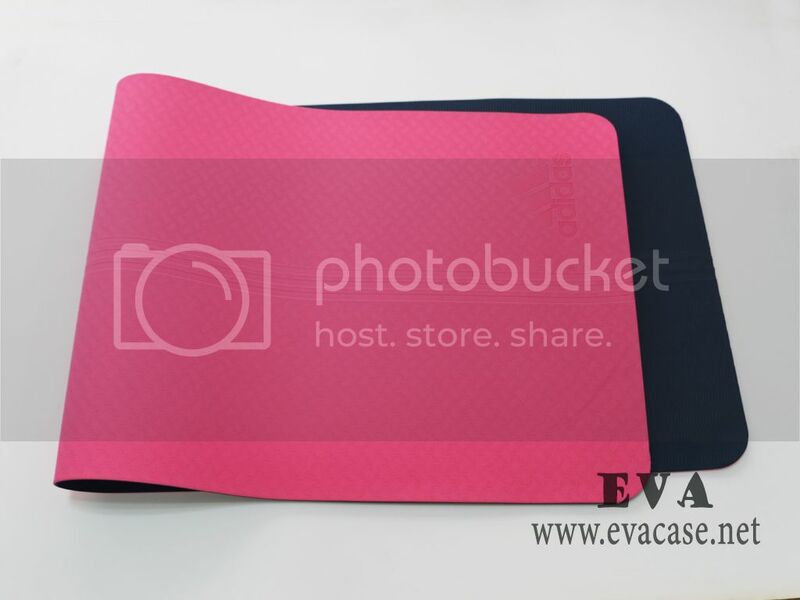 If you want to have similar design with your own logo, or with your own patterns or design, we could set up the logo mold for you. And there are lots of colors to be chosen. 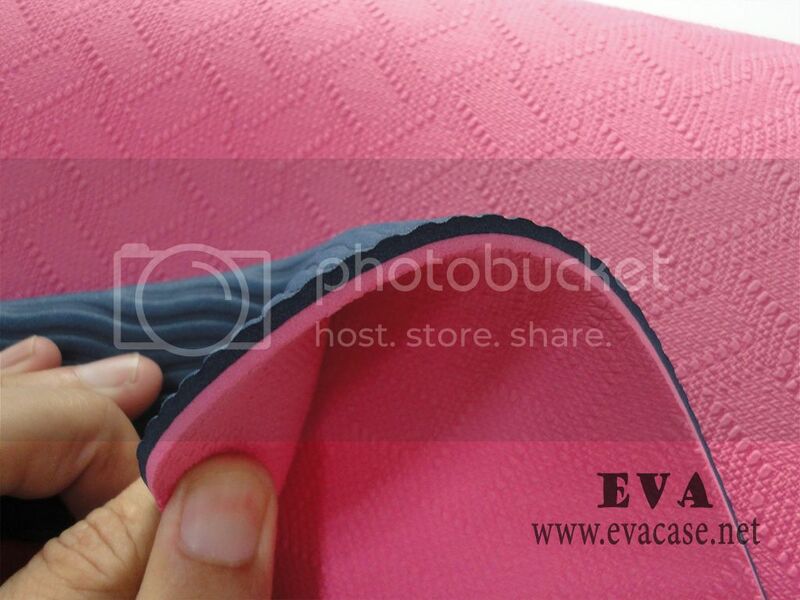 Available fabric colors in stock: grey/green/blue/brown, other colors please provide the PMS. 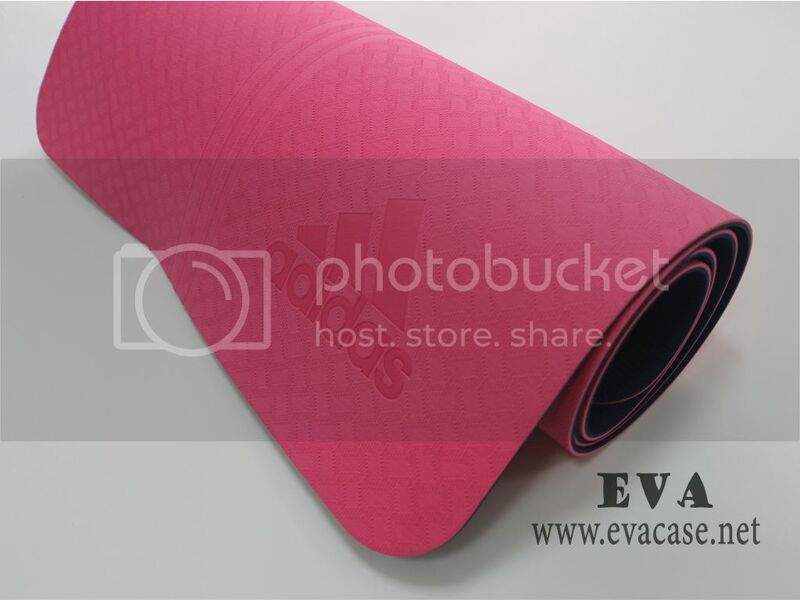 Remarks: we also have some other types of cheap yoga mats; you could contact us for more detail if you are interested in!